The active learning TestChest® is a competitive real-time teaching and training tool for mechanical ventilation management. 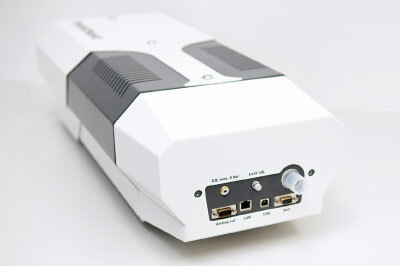 It supports any kind of artificial respiration in anesthesia, intensive care, emergency medicine and home care. 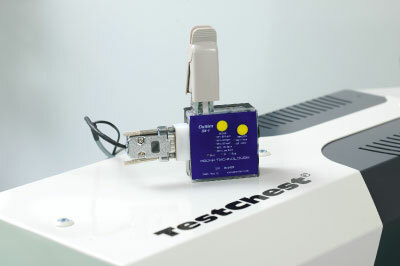 The realistic TestChest® offers a wide range of lung conditions and heart lung interactions. It is capable of replicating pulmonary mechanics, gas exchange and hemodynamic responses of healthy and pathological adult. The lung heart simulator TestChest® is an innovative full physiologic artificial lung that provides a breakthrough in mechanical ventilation training. It promotes deeper assimilation in a controlled environment. An artificial finger allows the simulation of oxygen saturation (SpO2). The variation of pulse amplitude according to different intravascular fillings allows the modeling of heart-lung interactions supporting the testing of the latest Smart ventilation modes. 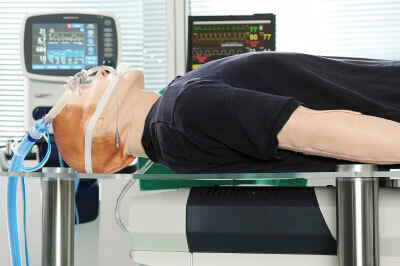 TestChest® can be easily connected with an intubation head fixed on a support designed for it. 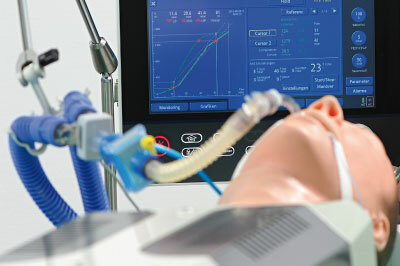 The airway management trainer adds more realistic features to the respiratory simulation.